A woman who tried to draw Arlene Foster's attention to abuses of the RHI scheme felt it was "clear" that her concerns would not be investigated. The scheme subsidised the cost of fuel to encourage the use of renewable heating systems. Janette O'Hagan raised concerns about it less than a year after it opened. She has been described as a whistleblower, and was one of the first people to raise issues about the scheme's over-generous payments. 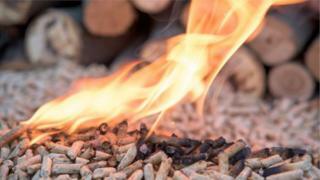 The RHI inquiry was set up to investigate the circumstances surrounding the initiative, after its costs spiralled. The fuel cost far less than the subsidy users were receiving, meaning they could earn by burning more fuel. The public inquiry into the scheme was told on Wednesday that Ms O'Hagan asked for a meeting with Mrs Foster, then the relevant government minister, but met officials from her department instead. In her evidence statement, she said it was clear from the meeting that she felt that the points she raised "would not be further investigated". Ms O'Hagan, who ran an energy efficiency company, will appear before the inquiry to answer questions on Friday. Later, the inquiry raised questions about how much the then minister, Mrs Foster, was actually told about cost control issues with the scheme. Counsel for the inquiry, Joseph Aiken, asked why some documents seemed to indicate that although the equivalent scheme in Great Britain had begun to implement cost controls, the NI officials saw no immediate need to do the same with their scheme. When Fiona Hepper left her job as head of the Department of Enterprise Trade and Investment energy division at the end of November 2013, a handover pack or "first day brief" was provided to her replacement, John Mills. Mr Aiken explained it included just three pages on the RHI scheme. He added "there are no problems recorded in this programme, there are no mentions of cost controls, there is no mention of a review" of the initiative that had been planned to take place. Inquiry chair Sir Patrick Coghlin said: "This looks to me like the formal departmental operation... you don't put the problems in" he said, adding that some of the issues had been happening "for some time". Dame Una O'Brien, who brings expertise on the civil service to the inquiry panel, said what was discussed in the handover meetings will be crucial to examine. Two of the most important officials concerned with the development of the RHI scheme - Peter Hutchinson and Joanne McCutcheon - left shortly after Ms Hepper's departure in 2013. Mr Aiken said their departures raise "very serious questions about the handover process". In late-December 2013, the scheme administrators Ofgem, supplied one of its weekly reports about the RHI scheme's uptake to DETI. At that point, 85 applications to the scheme had been approved and 78 of those were for boilers that fell into the most lucrative subsidy band. Many of the boilers were being used 24 hours a day, seven days a week - far longer than had been intended. This enabled claimants to earn as much as five times what DETI had intended for them to receive. Inquiry panellist Dr Keith MacLean looked through the details, trying to find any boilers that weren't being used around the clock. After finding one he said: "You have to look quite hard for that." Mr Aiken said the questions arising from that information is whether those weekly reports were read by the DETI officials and when they should have set off an alarm bell for the civil servants.